There are many foods that are commonly thought of as healthy but are actually far from it. That enhanced water packs more sugar than you think, and you wouldn’t believe the calories in that trail mix! Sometimes, these misconceptions are due to marketing techniques and, at other times, they just stem from a lack of knowledge. It’s important to know which foods are actually healthy for you, so you can avoid sabotaging your efforts to lose weight. Here are a few foods we run to when we are on a diet and the reasons why we should think twice about doing so. You know those brightly colored enhanced waters you see in the stores, promising you all sorts of electrolytes, energy and herbal benefits? They might not actually be very good for you and, most times, regular water will give you more benefits. Many of these drinks contain surprising amounts of sugar. For example, did you know that Vitamin Water and Life Water brands both contain 32.5 grams of sugar in one bottle? This is equivalent to eating a candy bar! If you are looking for hydration while you are exercising, the best thing to drink will always be plain old water. Granola bars are another product many people are drawn to when they go on a health kick. They are marketed as being healthy, and they seem like the right option for a snack; however, there are so many granola bars out there that contain chocolate chips or are dipped in chocolate, covered in yogurt or sprinkled with sugar that you may as well be eating a candy bar, as they often measure out to the same amount of calories and fat; however, there are granola bars that are actually good for you, but they will not contain chocolate and they will not be as tasty. The same goes for trail mix, as the types that contain M&Ms, salty peanuts and other candy pieces are loaded with sugar and calories. Instead of a sweet trail mix, try bringing along some unsalted nuts and unsweetened dried fruit, and skip the candy. So you start your diet and you commit to eating healthy, but you still want to meet up with your friends at McDonalds. “No problem,” you think, “I’ll just have the salad.” Unfortunately, the salads at many fast-food restaurants are often worse than the burgers. Yes, that’s right. For example, the Mandarin Chicken Salad at Wendy’s actually has more carbs, sugar, fat and overall calories than the Double Stack Cheeseburger. The problem is that these salads are essentially a lot of cheese, fried meat and dressing on a bed of lettuce with very few vegetables. They are delicious and satisfying, but by no means are they a healthy or light meal. If you have been having the diet version of your favorite soft drink because you are trying to lose weight, you could actually be doing more harm than good. Let’s face it, soda is never going to be healthy no matter if it is diet or not; in fact, some scientists are saying that the diet versions are worse than their regular counterparts. The artificial sweeteners in the diet soda have been found to cause just as much weight gain as ordinary sodas; in fact, some studies have shown that the artificial sweeteners stimulate the appetite, and subjects tended to eat more calories than they might have saved by drinking the diet soda. If you really want to lose weight, skip the soda altogether and go with water, green tea or freshly squeezed fruit juices instead. These are a few of the foods many people think are healthy but are actually unhealthy upon further examination. It’s important to know the difference so you won’t be setting yourself back accidentally in your quest to lose weight. About the Author: Ryan Albertson is a personal trainer and nutrition coach with 12 years of experience. He loves helping his clients lose weight, improve their diets with the diet to go website and achieve their fitness goals. 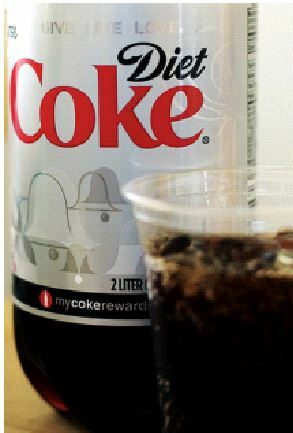 For more healthy living information, he recommends you visit http://diettogo.com/. Christina, thank you for your comment! You are welcome to republish a portion of the article but not the complete article. Please direct your readers to our website to read the whole post. Thank you for visiting. Certainly an eye opner for me! I have had a lot of health issues of late and the doctor has suggested me to eat organic foods.